"No comment," said City Councilmember and mayoral hopeful Abdul Algazali. You’d think most candidates would be glad to talk to local groups and local press and get some free publicity. 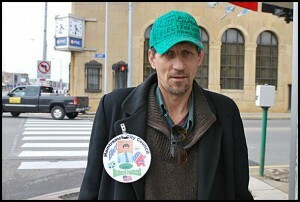 Not mayoral candidate Abdul Algazali. He did not attend last Friday’s mayoral forum hosted by the Southend Block Club, nor did he tell organizers why wasn’t there. The Review also asked if he talked with the Arab American Political Action Committee and its endorsement. Asked if his political platform consists of not commenting, Algazali said nothing as he walked to his car and then drove off. As for the endorsement by the AAPAC, the Dearborn-based group said in a news report in The Arab American News that it had interviewed candidates in the primary election in Hamtramck, Dearborn, Dearborn Heights and Detroit. 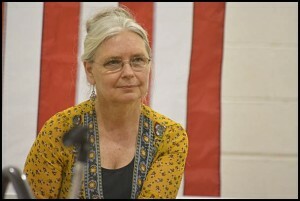 However, the three other Hamtramck mayoral candidates, Mayor Karen Majewski, John Ulaj and Cathie Gordon, said they had not been contacted by the group. A spokesman for the AAPAC said no other Hamtramck candidates were interviewed because none of them, except for Algazali, requested an endorsement. And if you don’t know that the AAPAC even exists? Well, apparently you are out of luck. 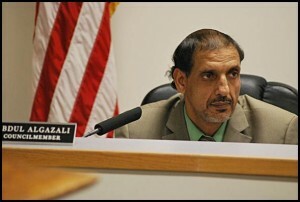 In the endorsement of Algazali, the group identifies him as president of the council and mayor pro tem. There is no such position as council president. City Council candidate Richard Fabiszak is all walled in -- and now in the media spotlight. Moving on … For years perennial candidate Richard Fabiszak has been a mere footnote in Hamtramck’s world of politics. He can regularly be seen hanging out at Jos. Campau and Caniff and the nearby Campau Tower Hamburgers, shouting out to friends and passersby. Some might mistake him for a street person, maybe even homeless. He runs every election year and gets a handful of votes, at most. Imagine everyone’s surprise when Fabiszak started popping up in the media everywhere. First there was an interview on WRIF’s morning radio program Dave & Chuck The Freak, and then CBS radio did a story, then Huffingtonpost.com, msn.com and after that we lost count. Why all of a sudden so much fuss about an obscure candidate? Fabiszak recently placed an ad in The Review in which he states he will build a 12-foot wall around the city, require an ID to enter the city, bring about the instant death penalty and keep city hall open 24 hours a day, seven days a week. For those familiar with Fabiszak, same-old, same-old. Nothing new to report, move along. But apparently with Detroit filing bankruptcy, Fabiszak’s plan resonated. To some, Detroit is falling apart at the seams, and here’s this candidate proposing wild schemes to protect the little enclave of Hamtramck, which is surrounded by Detroit on three sides and on the fourth side, Highland Park, which is arguably in far worse shape than Detroit. Yeah, the media outlets know he’s a little – ah – off. And the WRIF jocks had fun with him. Still, it smacked of getting a few yucks at the expense of someone, let’s say, is less fortunate. On other hand, Fabiszak can be prickly and has lashed out against his perceived opponents, so for some there is not much sympathy for the guy. Mayor Karen Majewski will give her State of the City Address on Aug. 4 -- two days before the Primary Election. In other election news, call this a peculiar question in timing. Mayor Karen Majewski, who is fighting one of her toughest election years, has scheduled her annual State of the City Address for Aug. 4 at the public library. That’s just two days before the Aug. 6 Primary Election. Last year, she held her State of the City in September. Majewski has done little in the way of campaigning, from what we have seen, other than to get some yard signs up and attend various functions. Her supporters have privately questioned us why she hasn’t been campaigning door-to-door given that she is up against three challengers, which include City Councilmembers Cathie Gordon and Abdul Algazali as well as The Review owner John Ulaj. Well, she’s the mayor and she can schedule her State of the City anytime, even up close to election day. The address starts at 12:30 p.m. If it’s anything like in recent years, expect to spend some time there. Last year, her speech ran 6,000 words, covering 28 pages.